A retired talent agent moves into a senior living community but quickly grows tired of the monotony of living there. He convinces an old friend and former comic, who also lives in the same facility, to start his act up again so they can go on the road one more time. Well gosh golly gee whiz, old people sOoOoOoOoOoOoo funny! At least that's what writer/director Greg Pritikin hopes you'll say after watching his film "The Last Laugh." 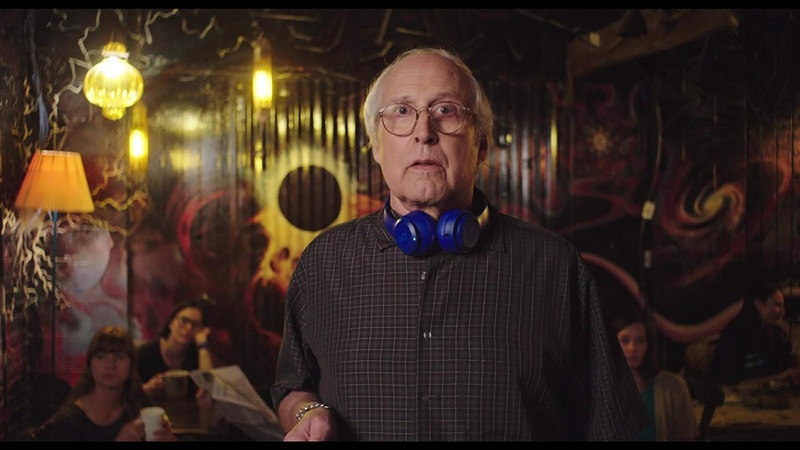 It tells the story of an aged talent agent named Al Hart (Chevy Chase). Over the years, he has lost all his clients who have either moved on or flat out died, which has forced him into retirement. His granddaughter Jeannie (Kate Micucci) is worried that her grandpa is alone all the time and urges him to move into a retirement community. 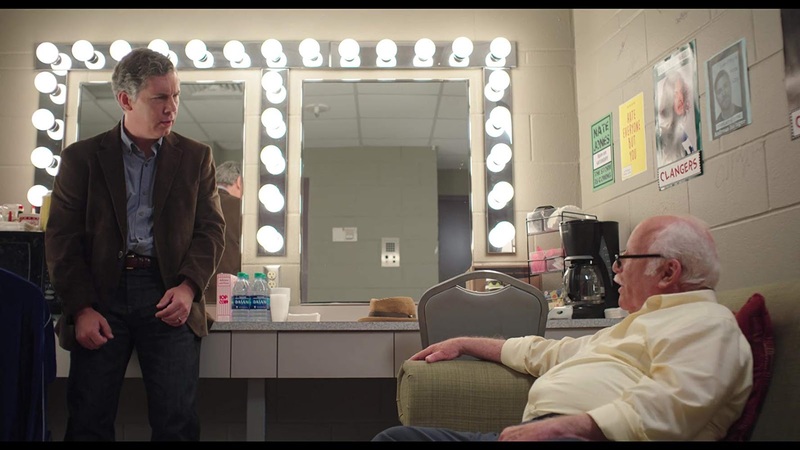 After he learns that an old client of his, former stand-up comic Buddy Green (Richard Dreyfuss) lives there, he decides to give it a shot. 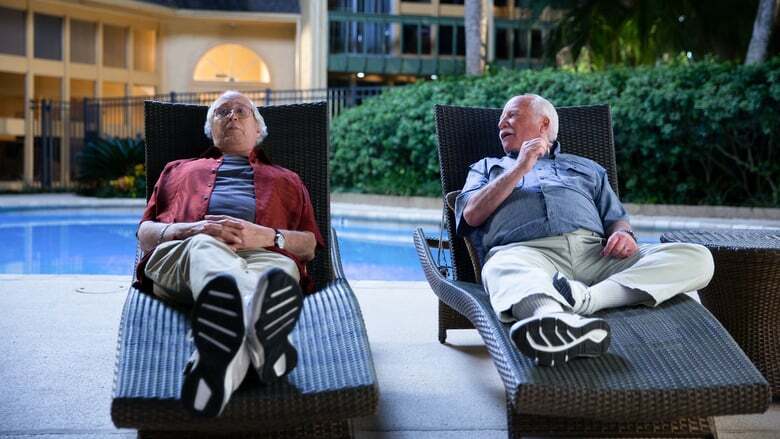 After a short time, Al grows tired of the boring routine at the retirement village and convinces Buddy to start up his old act once again, even though he gave up comedy decades before to become a podiatrist. Buddy agrees, and the two head across the country on a comedy club road trip from Los Angeles to New York as Al promises to get Buddy a spot on "The Tonight Show." There have been numerous septuagenarian road trip flicks, and there have been lots of movies about older people in general as we see character after character trying to relive their youth in some way. "The Last Laugh" is yet another title to add to both of these lists. Whether projects like this work or not depends on the writing and how sharp it is (or isn't), and whether or not the actors involved have capable chemistry with one another. With Chevy Chase and Richard Dreyfuss at the helm, this movie should have been a very successful sure thing. For the most part, Chase and Dreyfuss are decent in their roles, and they manage to work off of one another pretty well. The biggest problem is that they don't have diddly-squat to work with. The film doesn't have anything to say, and it doesn't provide anything new to the previously mentioned genres. Now, look, not every piece of cinema needs to be a "message movie," but if it's not, it should at least make the audience laugh or feel something. "The Last Laugh" just doesn't do that. 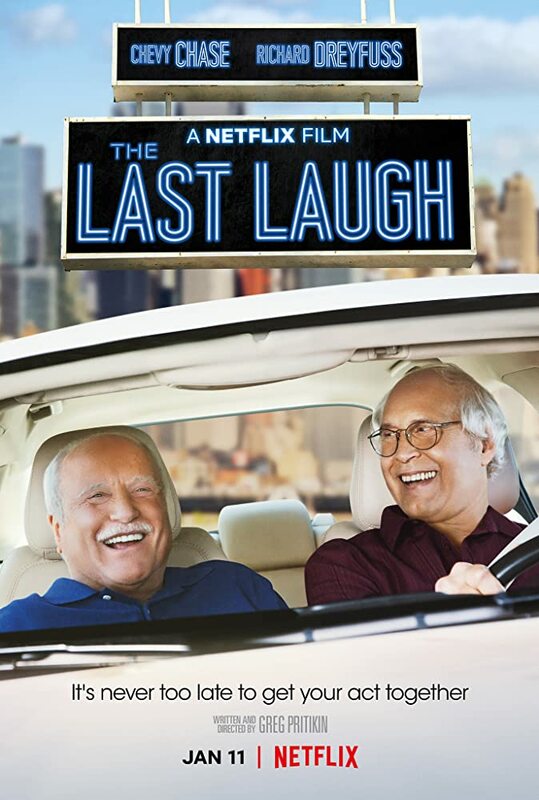 Pritikin is content in letting the audience watch two older men venture out on a "last hurrah" trip as it plays out the same predictable, unfunny, mostly forced story we've come to see from films like this in the past. We chuckled a few times early on, but the schtick wears off pretty quick. There's virtually no conflict in the plot, and the entire thing feels unnecessary, so we lost interest with the characters and their journey midway through its runtime. Throw in a random romantic subplot between Chase and Andie MacDowell, and you've got the makings of a boring, tedious comedy with as little vim and vigor as the residents of Al and Buddy's retirement community. Since "The Last Laugh" is a Netflix original, we found ourselves fighting off the temptation to do other things that were available to us at home instead of focusing and watching it. We persevered and finished the movie in one sitting, but by the time it was all over, we wondered why we bothered.